Whatever you do, don't compare Waverly Labs' Pilot to the Babelfish from Douglas Adams' novel The Hitchhiker's Guide to the Galaxy: Although you stick both in your ear to follow what's being said in a foreign language, that's where the similarity ends. A fairer comparison might be the translator earpiece in Bruce Sterling's 1996 cyberpunk novel Holy Fire. That literary device, at least, is electronic, not organic, and runs sophisticated software to do its job. Pilot is a pair of Bluetooth earbuds that you connect to your smartphone to listen to music or make and take calls. The earbuds have a four-hour battery life, and their carrying case doubles as a charger: Its integrated battery is good for four recharges. 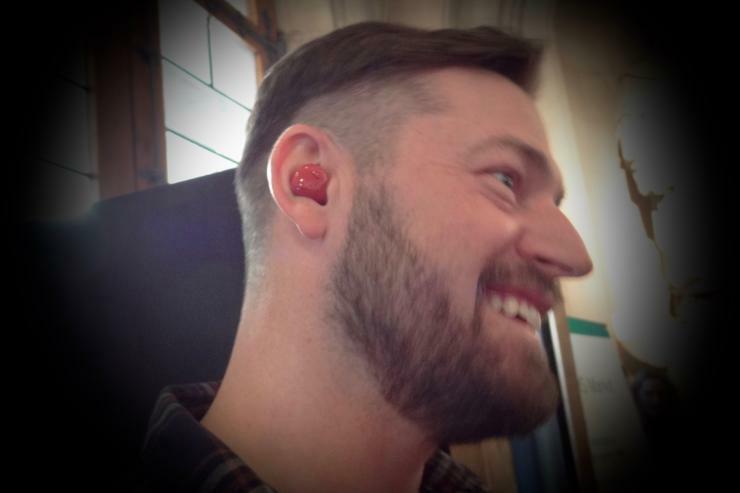 Waverly Labs makes the Pilot translating earpiece, seen here at Mobile World Congress in Barcelona in February 2018. So far so good -- but Pilot also functions as an interpreter. 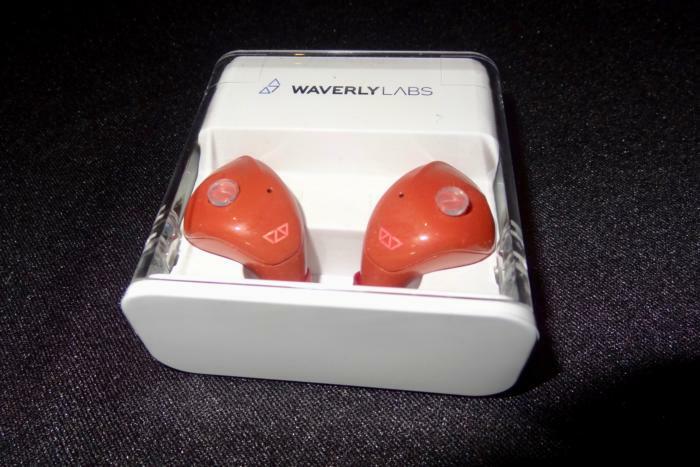 The app relays sound from the microphones in one earbud to Waverly Labs' servers, displaying a transcription of what it hears on screen and, after a short delay, its translation, which it then speaks into the opposite earbud -- which is presumably in the other person's ear. If that person then replies, the process is repeated in reverse. This feature arrived in a software update late last month. The company is working on a version of the feature that requires only one phone -- and also a function that will continuously translate speech from those around the wearer. For business users, there's also a group conferencing mode that allows speakers of different languages to meet. In a brief test on the sidelines of Mobile World Congress in Barcelona this weekend Pilot coped well with incomplete or ungrammatical sentences and idiomatic expressions. It accurately translated "It's raining cats and dogs" into French as "Il pleut des seaux d'eau" (literally, "It's raining buckets"), with no mention of either chats or chiens. If the machine translation service behind Pilot doesn't understand an expression, it will hand it off to another translation service, learning from the response, said Waverly Labs' VP of Manufacturing, William Goethals. There's no charge to use the Pilot service to translate between French, Italian, Portuguese, Spanish and English, other than the cost of the smartphone's data connection. For now, Waverly Labs is funding the service solely from hardware sales, but the company does have plans to generate revenue from it in other ways in future, Goethals said. One is to charge for additional languages: According to the company's website, translation to and from Arabic, Mandarin Chinese, German, Greek, Hindi, Japanese, Korean, Polish, Russian and Turkish will be available as paid upgrades towards the end of this year. The cost of operating the service is low: Just bandwidth and server time, said Goethals. That's much cheaper than paying to use a rival cloud API for every translation. Pilot began life as a crowd-funded project on Indiegogo. The company demonstrated a prototype at last year's Mobile World Congress, and finally began shipping the device in December. The first manufacturing run is sold out, but it's now possible to preorder a pair of earbuds from the next batch for $249: There are additional shipping costs for sales to Europe.